The European Parliament is such a waste of money – or is it? The other day I was chatting to an old friend; we talked about the 10 years I spent working for a small non-governmental organisation doing advocacy work in Brussels. And she said that she just couldn’t see how I could have coped with working there, given what a colossal waste of money the European Parliament is. We were having dinner and it wasn’t the time to give a lecture on a subject which I have actually done quite a bit of research on over the years. But I did think it warrants a bit more thought and a bit of a response, nonetheless, given that the whole Eurosceptic debate in the UK is driven in part by this perception. And of course, as with all such perceptions, there is a bit of truth in it; there is some waste; there is some free-loading; there are some areas of concern about how the money is spent. But it’s not as clear-cut as the brief conversation we had would have it. First, there is a general perception that the European Parliament and the European Union are broadly one and the same thing; that’s unless we are lambasting the European Commission for some form of bureaucratic invasion into the way we do things here and creating unnecessary red tape. So the first thing to say is: the European Parliament is only one of a number of EU institutions. It’s like with any level of government, there are different parts to it; it’s called the separation of powers and it’s essential for democratic accountability. But for the purpose of this post, I’ll stick just to the European Parliament. So what is the European Parliament? First, it is a parliament; i.e. it is a group of people who are elected directly by the citizens of the European Union to represent us in the law making that goes on at European level. So, as long as there is law making at European level, we need these people. If we didn’t have them, then the so-called bureaucrats in the European Commission, together with representatives of the Member States governments (from the Prime Minister down but also including a large number of unelected civil servants and diplomats who deal with the nitty gritty of EU policy on behalf of the Member States’ governments) would be making all the decisions without any input from directly elected representatives. MEPs, in other words, are there to represent the interests of their constituents in the EU law making process. Saying that we don’t need them, is like saying we shouldn’t have the House of Commons and just leave it to the civil service to make the decisions. No, I know it’s not quite as simple as that; there are differences – not least that our government is made up from a subset of parliamentarians whereas the Council of the European Union is not – but you get my general drift. So the first thing is that we constantly hear that the European Union Budget is costing us massive amounts of money. Well, on the face of it, it looks that way. 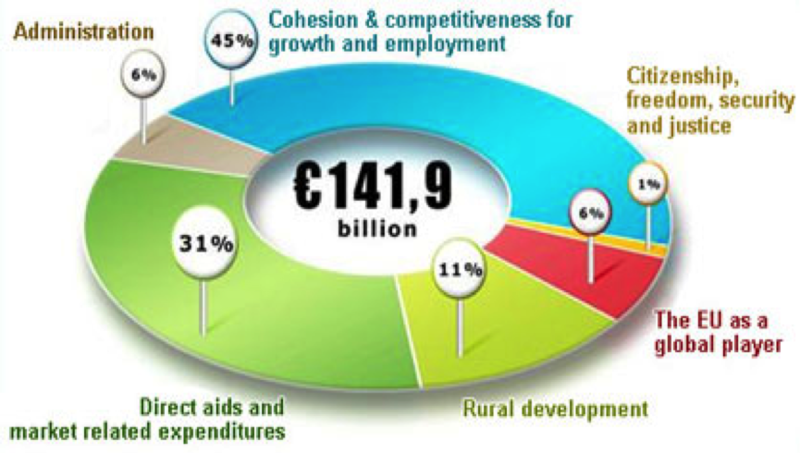 The budget for 2014 is € 141.9bn; that’s quite a number. At todays rate of exchange – and of course that changes regularly so it’s just an indicator – that is £ 117.7bn. But that is for the whole of the European Union; all its direct spending and all the institutions that make up the European Union. What that shows is that 6% of the total budget is spent on administration. That means all the institutions put together cost 6% of that budget. There is much to say about where the other 96% goes; but this is not the place to do that. So back to the 6%; of that, the European Parliament has a budget of € 1.7bn (or £1.4bn); that’s about 1% of the total EU budget or 20% of the administrative budget of the EU. Given that the European Parliament, along with the European Commission and the Council of the European Union is one of the largest institutions and one of the most significant one (see above), then that doesn’t seem a huge share. But of course, €1.7bn is not chicken feed. What does this money pay for? According the European Parliament website 35% of this goes on staff; there are 6000 staff employed by the European Parliament to work in the General Secretariat – that’s people servicing the Institution: making sure that the meetings take place as planned, that rooms are prepared, that agendas and minutes and papers are available, and that the documents (and the discussions) are translated/interpreted. The EU operates with 24 official languages; you could have an argument over whether that’s necessary; native English speakers have a huge advantage because their language is spoken by so many people in the world; but when it comes to making laws, when it comes to making important political points, it is important that everyone can express themselves in a language which they are fully confident in. So this aspect of the cost of the European Parliament is significant. 27% goes on the MEPs – their salaries, their expenses and their offices/staff. Each MEP has a personal assistant in based in Brussels and each of them also has an office in their home constituency. This local office is essential to keep in touch with the constituents, of course. 21% of the budget goes on communications and IT; of course, an Institution of that size has a lot of such equipment to keep in good order; this includes – as a major item – the interpretation equipment in the plenary chambers and the committee rooms; but it also includes internal and external computer systems and an internal TV network which allows MEPs and their staff to follow discussions going on in Committees and the Plenary whilst working in their offices. 11% goes on buildings. 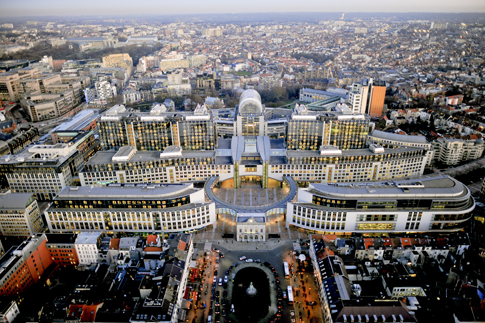 The European Parliament has a group of buildings in Brussels. They meet there in political groups, in committees and in plenary most of the time. They also have an office each with a connected office for their Brussels based staff. 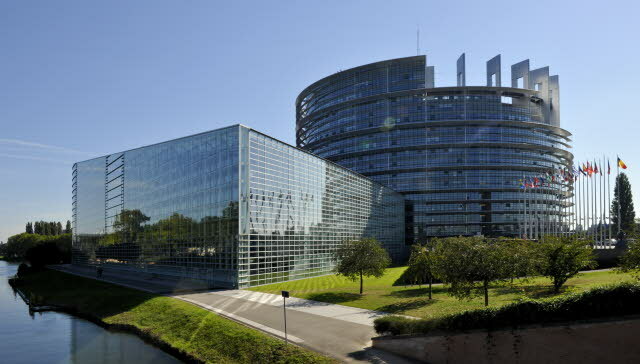 It also includes the European Parliament offices in each of the Member States. Maybe it would be worth finding out where your nearest one of them is and to go there and see whether you think having it is worth it. I have been in many of these offices; they are small and functional; they are not plush or palatial. They are what is necessary. In fact, to have a meeting with an MEP and more than 3 people, it’s necessary to arrange another room outside the MEPs office because you couldn’t fit them all in. There is one aspect of the running of this Institution that is certainly wasteful – it’s the monthly decamping of the whole thing to Strasbourg. However, this is written into the EU Treaties and the Member States – not the European Parliament – have refused to change this. Most of the MEPs I have spoken to would dearly love to stop this. As a result, they have another building in Strasbourg. There is also a European Parliament Building in Luxembourg. This houses most of the secretariat. This, too, is a leftover of historic decisions which would need to be overturned by the Member States. And of course, there are 4000 people who are working and living in Luxembourg who would have to relocate if they moved to Brussels. And the Brussels buildings are designed to house the people they house now. So it’s not a simple: oh, let’s stop this nonsense. So these are the main aspects of the cost of the European Parliament. What’s it look like when you go there? No doubt, they look modern, grand, and to some people downright ugly. But they are quite functional. Apart from the offices individual MEPs and their staff occupy and the offices used by Secretariat staff based in Brussels, there is a Plenary Hall in each of the buildings which is big enough for all MEPs to meet together. And then there are a number of larger and smaller meeting rooms which are used by Committees, political groups and for other events. There is also a restaurant and café and there are private dining rooms for receptions hosted by MEPs for people who have business in the European Parliament. There is quite a security set up at all the entrances; there are mail rooms; there is a gym for people who work there, and there are a range of shops which supply the kinds of things people might need during a long working day. To the best of my knowledge, the services of these shops – such as a hairdresser – are not free to anyone who works in the building. The various coffee shops are very reasonably priced and those prices are available to anyone who has legitimate business in the building. And what do these people get paid? The most important question is: what do the MEPs get paid and what expenses do they get. And here, there are some real issues. But whether they are extraordinary in comparison to salaries and expenses of other decision-makers, is an entirely different matter. And in the great scheme of things, I don’t think this is enough of a reason to be wholly against the EU. If we want people to take political decisions on our behalf, then we have to pay them. That should be the bottom line from which we start. And although I am firmly of the opinion that politicians (and anyone who is in a position of power, authority or trust) should be completely accountable and willing to work for a reasonable amount of money, in the broad debate about the whether or not the EU is helpful, the money we pay to MEPs and their staff isn’t my major concern. Not all of them are transparent about what they actually get; but as it happens some of them (including the UK Greens and the UK Liberal Democrats) are very open about publishing their expenses. The following is taken from my reading of the public pay and expenses statement of Rebecca Taylor, MEP. The basic salary is set at 38.5% of that of a judge serving in the European Court of Justice. I am not entirely sure why that percentage or why it is pegged against the judges. In the past, MEPs got paid the same as the MPs in their country; but that meant that MEPs from richer countries earned a lot more than MEPs from poorer countries; and of course, the live in Brussels most of the time and therefore salaries need to have some connection with the cost of living there. The most recent figure for what that actually amounts to that I have been able to find (and which relates to 2012) is € 95484 per year. Exactly how much this is in pounds sterling varies because of the exchange rate but at the time of writing this post it amounts to £ 78400; so that is more than an MP gets and given that UK MPs are not underpaid, that seems quite generous. In addition to the salary, MEPs receive an accommodation and subsistence allowance of € 304 per day that they attend the European Parliament. This seems also quite generous. Of course, it is based on the assumption that the MEP will have their main residence in their constituency and that they have to stay somewhere whilst they are in Brussels or Strasbourg. So that is fair enough. But € 304 per day of attendance can amount to quite a lot. It covers all and any expenses and no further claim can be made for food, restaurant meals, taxis and the like. MEPs can claim travel expenses for journeys between their constituency and Brussels. They can also claim a certain amount for travel within their own country if the travel is on European Parliament business – given the size of the constituencies that is quite understandable. For mileage (for car journeys) this is € 0.49 per kilometre. In addition, they can claim for travel outside of their country if they travel as part of the parliamentary duties but that is limited to just over € 4000 per year and has to be justified – quite rightly. The office in Brussels does not cost the MEP anything as it is part of the Institutional expenditure. But they do have to employ staff and they do have offices in their constituencies which cost money to rent and equip and which need staff to work there. The amount for staff is just over € 21000 per month; this covers staff in Brussels, in the constituency and interns (who are paid a reasonable amount to live on in Brussels). Indeed, it is a very good thing that the European Institutions do not expect interns to work for free. This is a real contribution to helping young people into a career and I have seen for myself – with some of the interns who worked for us and then went on to work for an MEP or for another Institutions, how this made a very positive contribution to their development. The allowance for office costs is just under € 4300 per month; this is for renting and running the office in the constituency. This may be considered a bit high in some parts of the EU; in others it might just about cover it. For both of these, I would argue that a lump sum is not a good way of controlling expenditure and accountability because of course costs in different countries will be very different. Back to the opening question – is it a waste of money? The expenses allowances (daily attendance lump sum) looks over-generous and should be reconsidered.But the real question is: are we getting something for our money? And our money – in this case – is, if we remember 1% of the EU budget which in itself is 1% of the European Gross National Income. So it’s not as much as the press would have us believe.But whether it is value for money depends far more on what they do rather than what it costs.But that’s for another post. This one is too long aleady. This entry was posted in UK-EU and tagged EU, Europe, European Parliament, media, participation, transparency. Bookmark the permalink.